The alignment of the stars at Marie Mancini's birth warned that although she would be gifted at divination, she was destined to disgrace her family. Nonetheless, Cardinal Mazarin brings his niece to the opulent French court, where the forbidden occult arts thrive in secret. In France, Marie discovers that her powerful uncle rules, using Marie's sister Olympia to hold the Sun King, Louis XIV, in thrall. Desperate to avoid her mother's dying wish that she spend her life in a convent, Marie burns her grimoire, trading Italian superstitions for polite sophistication. As her star rises, King Louis becomes enchanted by Marie's charm. 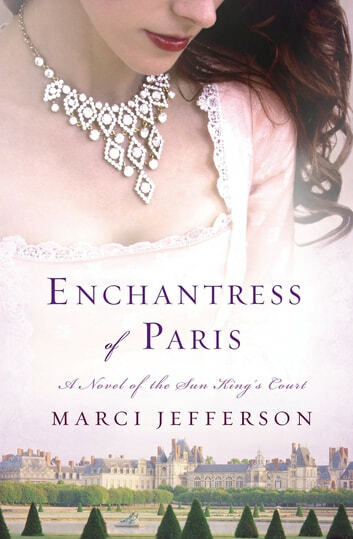 Sensing a chance to grab even greater power, Cardinal Mazarin pits the sisters against each other, showering Marie with diamonds and silks in exchange for bending King Louis to his will. Disgusted by Mazarin's ruthlessness, Marie rebels. 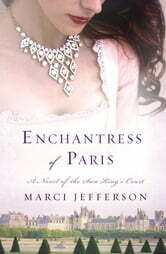 She sacrifices everything, but exposing Mazarin's darkest secret threatens to tear France apart. When even King Louis' love fails to protect Marie, she must summon her powers of divination.